Amethyst of Space is jelly nail lacquer with purple flakie, purple microglitter, purple/magenta/pink/gold multichrome flakies and a linear holographic finish. This listing is for one bottle (12.0 ml / .41 fl oz) of Amethyst of Space. Swatches, courtesy of @alchemylacquers @topnotchtops, @bluevelvetlacquers and @boomshakalacquer, displays 2-3 coats of Amethyst of Space. 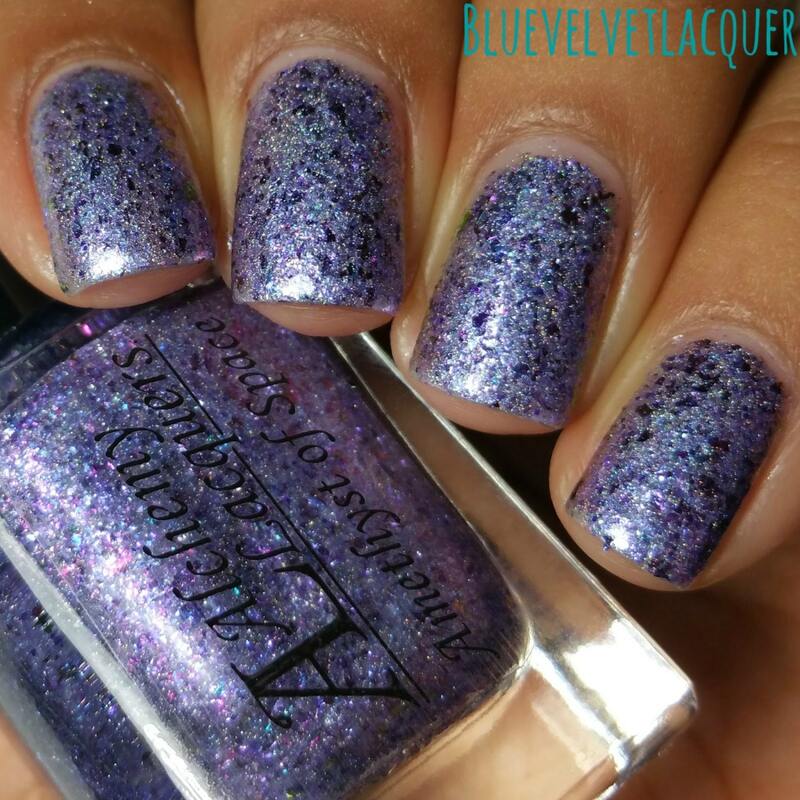 Alchemy Lacquers are all hand blended, in a 5-free base. This means that the lacquers does not contain formaldehyde, formaldehyde resins, DBP, toluene or camphor. Each bottle contains two stainless steel agitator beads and a brush. All Alchemy Lacquers are made to order, therefore, there might be slight differences between bottles. I recommend that when your bottle arrives, that you give it a good shake and roll as the contents may settle over time. I try and take the most accurate color pictures possible, but sometimes monitors display differently.